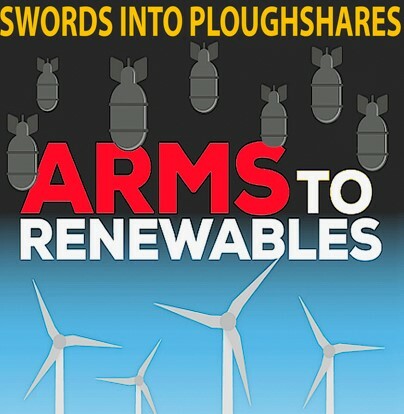 A screening of ‘Swords into Ploughshares’ – the Lucas Plan 40 years on. Bring a picnic lunch and we end at a pub around 3 pm for those still thirsty. A 75 bus from Gloucester Road North will take you back to the city centre. During this walk we will be discussing what security really means, defence diversification, and how we can create a safer world for all our children. Please view and share this event on Facebook. The conference will be exploring the impact of current approaches to national security on agendas for peace, justice and environmental sustainability. We’ll also be considering what a different approach could look like, and how to bring about change. More information and registration here. Bristol Radical History Group and Bristol North West Labour Party present a new film on the bid by Lucas Aerospace workers to move from arms manufacture to making socially useful products. Introduced by Hilary Wainwright co-editor of Red Pepper. Truthout Cinema every Monday 6.00-8.00pm at the Arts House, 108A Stokes Croft, BS1 3RU. The Cardiff Arms Fair ( DPRTE – Defence Procurement, Research, Technology and Exportability Exhibition) described on their website as the “UK’s Premier Defence Procurement Event” is being hosted annually at the Cardiff Motorpoint Arena. One of their main exhibitors is BAE Systems, the 3rd largest arms producer in the world. We need to protest against such an event and show our opposition to the arms trade. We will be protesting vociferously and creatively on the 27th of March. Come and join us. Join us for a day of solidarity hanging pro-Palestine and anti-arms trade banners around the Bear-Pit roundabout (opposite Debenhams, St James Barton Roundabout, Bristol BS1 3LT) in solidarity with the protests against the DSEI arms fair in East London. ALL DAY 8.00am until 7.00pm. Help needed in stints throughout the day but especially during the morning and evening rush-hours for leafleting and media work. Just turn-up and help out. 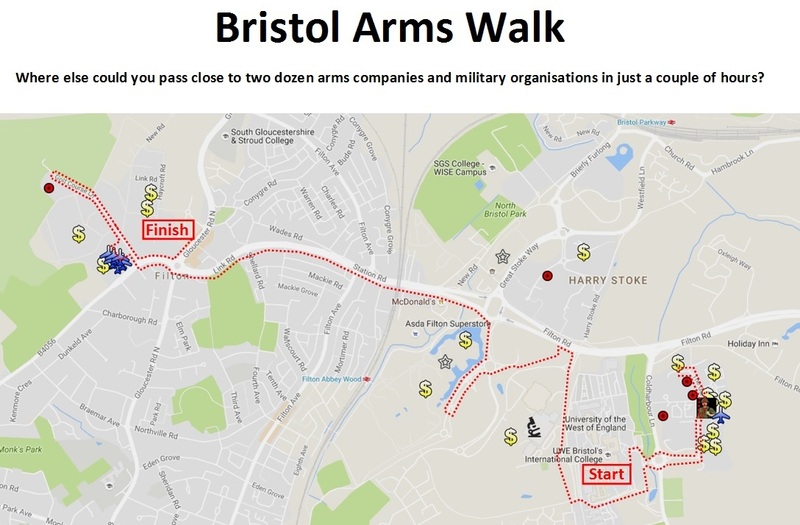 Organised by Bristol Palestine Solidarity Campaign and Bristol Against Arms Trade. 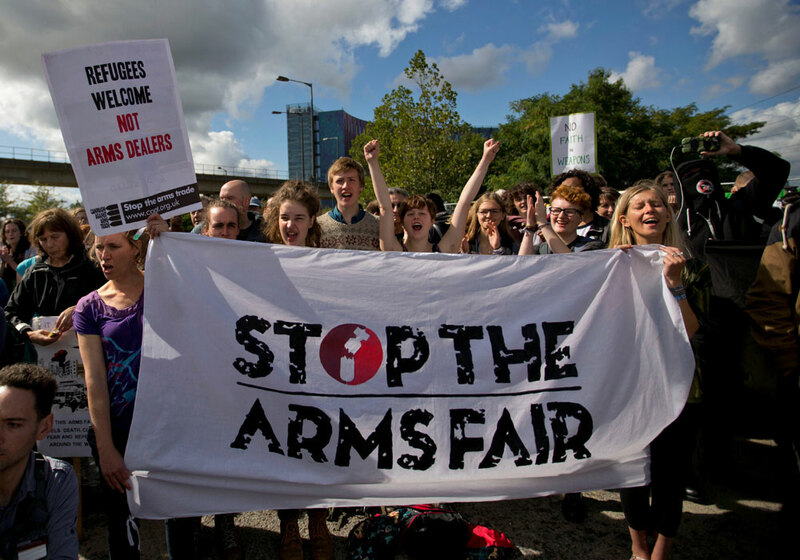 STOP THE DSEI ARMS FAIR! DSEI (Defence & Security Equipment International) is one of the world’s largest arms fairs. It takes place in the ExCeL centre in the Docklands area of London every two years and receives major financial, logistical and political support from the UK government. The weapons sold here fuel the death, destruction and injustice perpetrated by armed forces and militias around the world. These companies are profiting from the death, maiming and displacement of millions of innocent people. Most casualties in today’s conflicts are civilians – many of them children. Arms fairs encourage governments to spend public money on militarism rather than health and education. A huge week of action is planned to stop the set-up of London’s DSEI arms fair between 4-11 September 2017. The workshop will show you how to turn creative action ideas into reality, and meet others keen to take action locally and travel to London to join the national demonstrations. Together, we can create an inspiring and effective week of action to shut down DSEI. It’s free to attend and you can just turn up on the day.